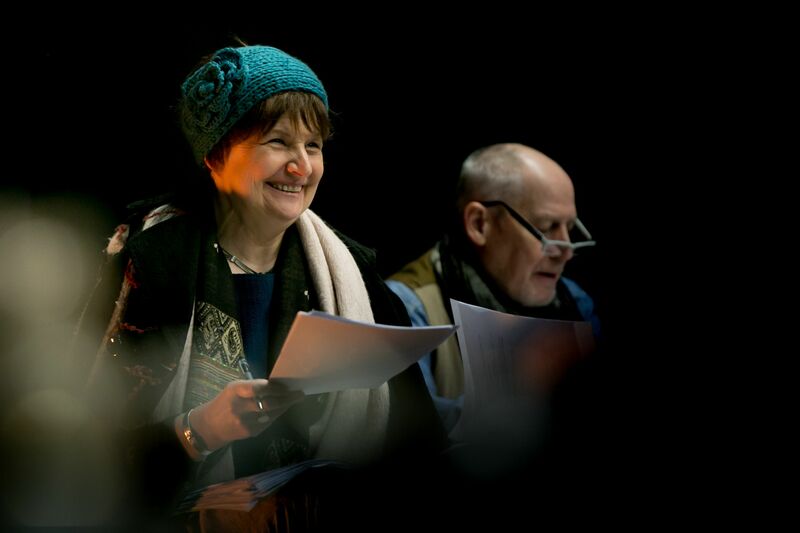 Award-winning playwright Kaite O'Reilly on deaf culture, dissident sensibilities, and her "big growling play" Cosy at Cardiff Millennium Centre. Kaite Welsh and Phillip Zarrilli in rehearsal for ‘Cosy’. “I’m notorious for my bad signing,” she tells me, wryly. “Jean teases me all the time about it. Whenever I threaten to go and learn BSL she says ‘no don’t because I actually like what you’re doing, because it makes me think differently'”. Cosy is on at Cardiff Millennium Centre from 8-12th March: more info here.